This 100% plant derived, organic shampoo cleanses to create body and bounce and is safe for color-treated hair. Rahua Voluminous Shampoo’s natural formula safely and effectively cleanses and refreshes hair without drying hair like other volumizing lines. Citric juices break down oils, effectively extending time between washes, resulting in healthier hair. Lavender and eucalyptus provide calming aromatherapy while Ungurahua oil strengthens hair. For best results: Apply on thoroughly wet hair to begin shampoo and work into a lather. 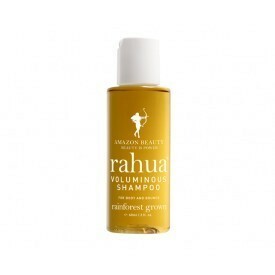 Rinse and follow with Rahua Voluminous Conditioner.